The Eurasian Economic Commission --- overseeing Russia, Armenia, Belarus, Kazakhstan, and Kyrgyzstan —this week approved "A1893" and "A1954" models, Consomac noted on Wednesday. Those numbers don't correspond to any existing iPads. Apple has also secured permission to bring several iPad and iPhone "samples" into the region, with "CC" and "AA" prefixes in front of their model numbers. Since this is the first time the company has won EEC permission for samples, it's not clear which devices are involved. This year's iPad refresh is expected to be a significant step forward, since code in the iOS 11.3 betas refers to a "Modern" model. Before the announcement of the iPhone X, pre-release iOS 11 code referenced a "Modern" iPhone. That could imply that new iPads will switch to Face ID and edge-to-edge displays, abandoning Touch ID and even the relatively modest bezels of the 10.5-inch iPad Pro. The products are likely to use LCD instead of OLED, however, given the cost of OLED and the difficulty of mass production. Since the EEC's document mentions two models, those are presumably 10.5- and 12.9-inch iPad Pros. 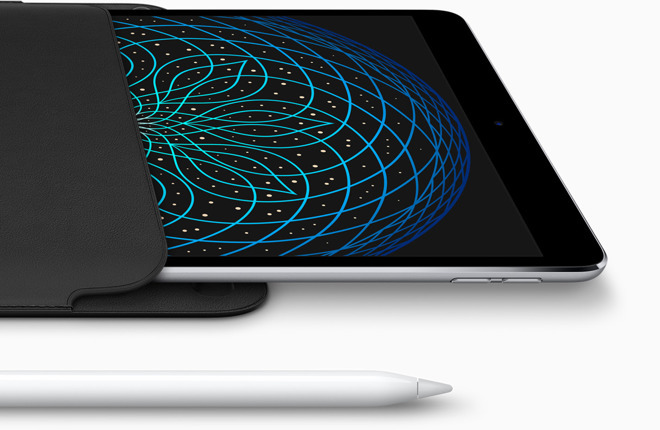 It's not certain when —or even if —the company will update its 9.7-inch "budget" iPad.